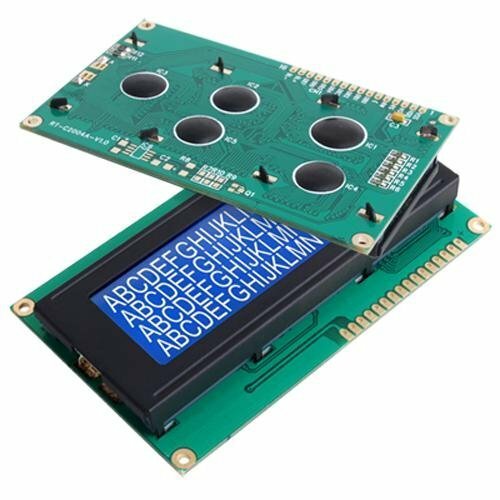 LCD character displays are a simple and a cost-effective way to display a text. 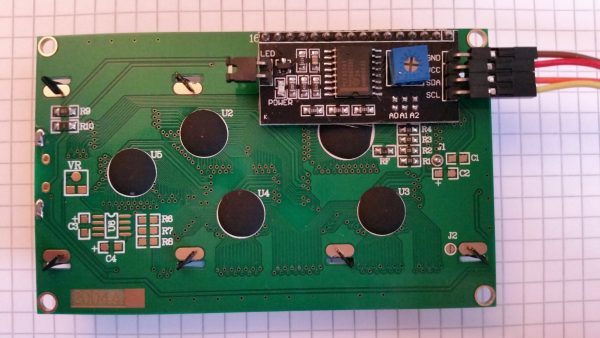 Thanks to the HD44780 controller, the control of the modules has become very simple. However, one must occupy many GPIOs for it. An alternative is the I2C data bus, which means that only two GPIOs are used. 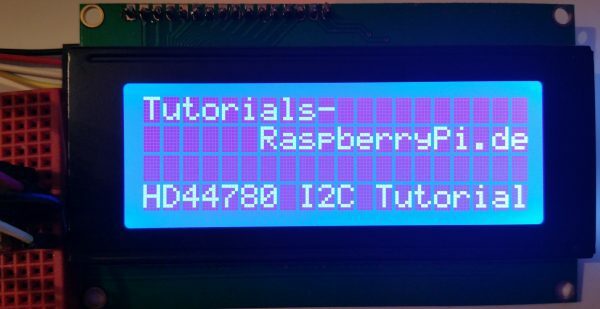 In this tutorial a 20×04 HD44780 character display is controlled using a I2C display adapter. A logic converter is used to adjusting the voltage level for the module without damaging GPIOs. The pins of the I2C LCD adapter fit perfectly on the display and can be soldered. Some displays are already delivered with a soldered I²C adapter. Any ground pin can be taken. For the sake of clarity, I chose pin 20 instead of pin 6 on the schematic diagram. 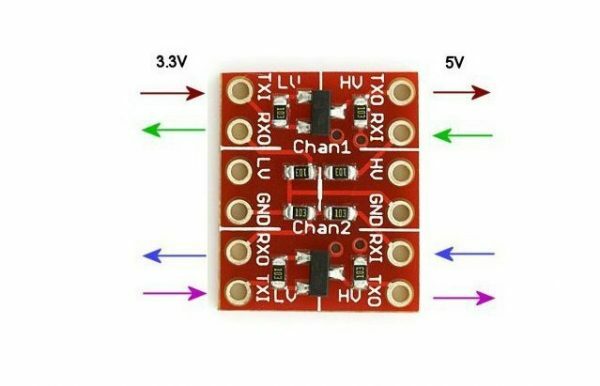 This configuration is also usable with other modules which require signals with a higher voltage than 3.3V (in this case 5V) (real time clock, etc.). Afterwards it has to be restarted, so that all changes take effect. If you see a number other than 27, you must change this in the lcddriver.py file (ADDRESS = 0x27). The first parameter of the lcd_display_string is for the text and the second for the row. You do not have to change all lines at once, but you can not easily replace individual characters. For this, the entire text (with the character changed at the desired position) would have to be retransmitted. The contrast of my I2C adapter was at the beginning very low. If nothing should be shown, test the wheel on the back and look obliquely on the display. This is very unique and interesting information. Logical level converters have played and important role in advanced science and novel technology. Thanks for sharing this with us. Kindly post more informative content like this. 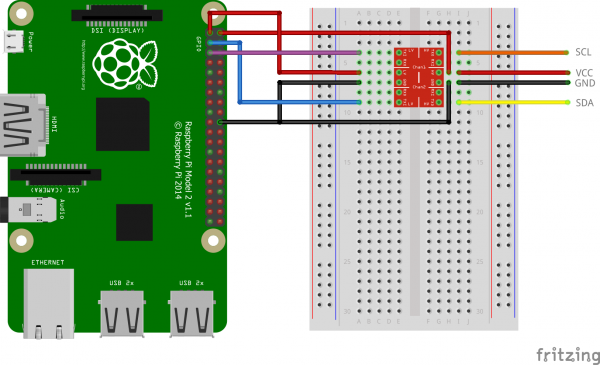 Is there a simple way to displaying sensor data on the web? Best regards and thank you very much for such a good useful and interesting tutorial. I don’t understand how this works! I2C is a bi-directional interface, but your level shifters are uni-directional. Forgive me if this is a dumb question, but, how do you get the val of hx711 example.py to the LCD screen? Does this code need to be inserted somewhere inside of example.py? What format would one use in the lcd.lcd_display_string(“????????? ?”,1)?